Please add $6.00 for shipping, handling, & insurance. 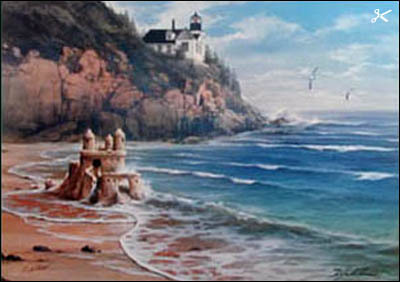 The image size of this print is 16.5" x 23.5". Please add $19.50 for shipping, shipping, handling, & insurance. 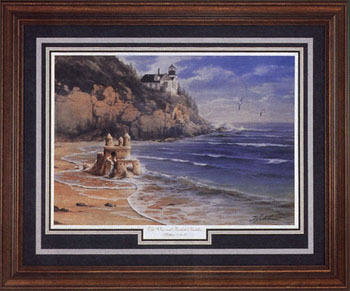 Comes in your choice of either a dark wooden frame with a navy blue mat or a light colored frame with a sandstone mat. The Wise and Foolish Builder copyright© 1999 by Danny Hahlbohm.